Vienna had been on my bucket list since I was about 12 years old. I had a penpal who lived in Austria and used to write about the balls that his mother forced him to dance at. It had seemed so foreign, so exotic to me growing up in New Zealand; imagining these beautiful buildings with glamorous couples dancing the waltz in. It seemed like a fairytale! Ever since that long lost penpal painted that picture for me many moons ago, I’ve wanted to see it for myself. I was reading the 411 Travel in Germany facebook page trying to get ideas for New Years when someone mentioned Vienna. 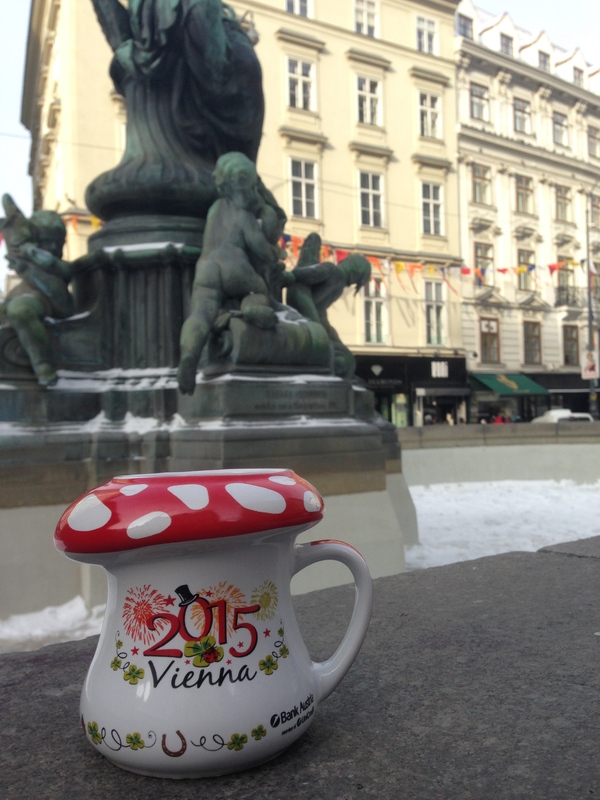 I had never imagined Vienna would be a great New Years destination. This lady had said that they had a great party atmosphere all over the city without the extreme crowds of Berlin. I had never imagined Vienna has a ‘warm’ place to visit, so it made sense to see it in all it’s magical, mystical winter beauty. Vienna it was! Google maps had told us it would be a seven-hour drive. To me, that seemed a little ambitious. As it turned out, we did miss a lot of traffic, however, we did get held up by a large snowstorm. 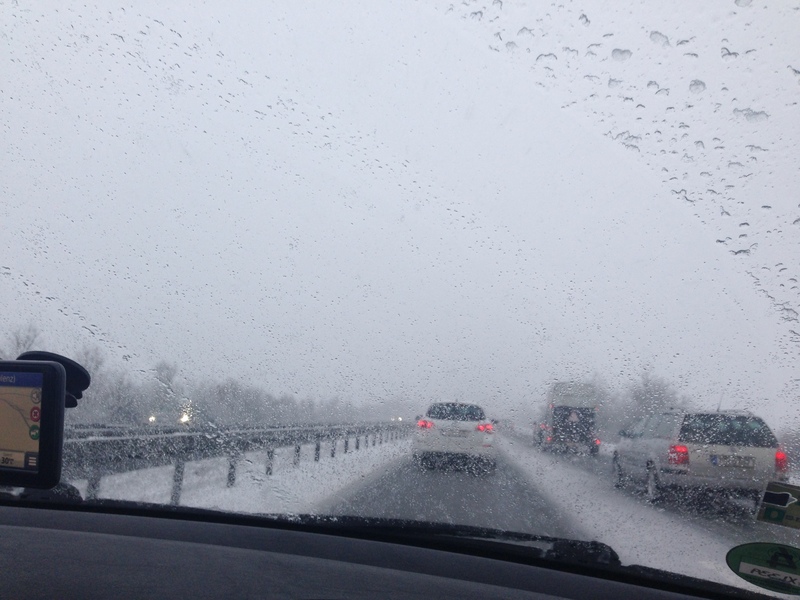 We got stuck behind snowplows several times and sometimes conditions made it too dangerous to go the speed limit, especially through Bavaria. Nick learned a good new skill he called ‘the motor boat’. 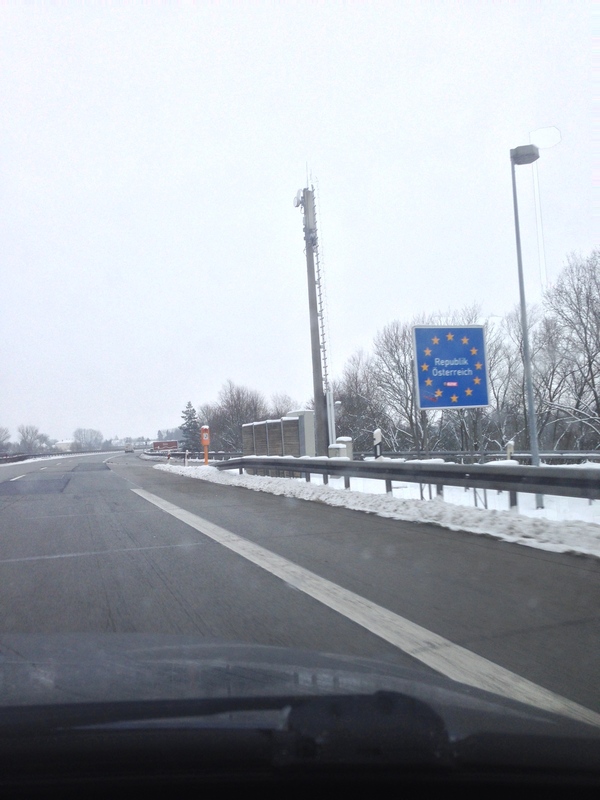 For the autobahn roads that hadn’t been plowed yet, it was quite dangerous to change lanes as there was no traction. Nick discovered that the best way to change lanes was to pretend he was driving a boat – gliding over the waves was the best way to describe how it felt when we lost all grip! All in all the drive, including stops, took about 8 ½ hours. 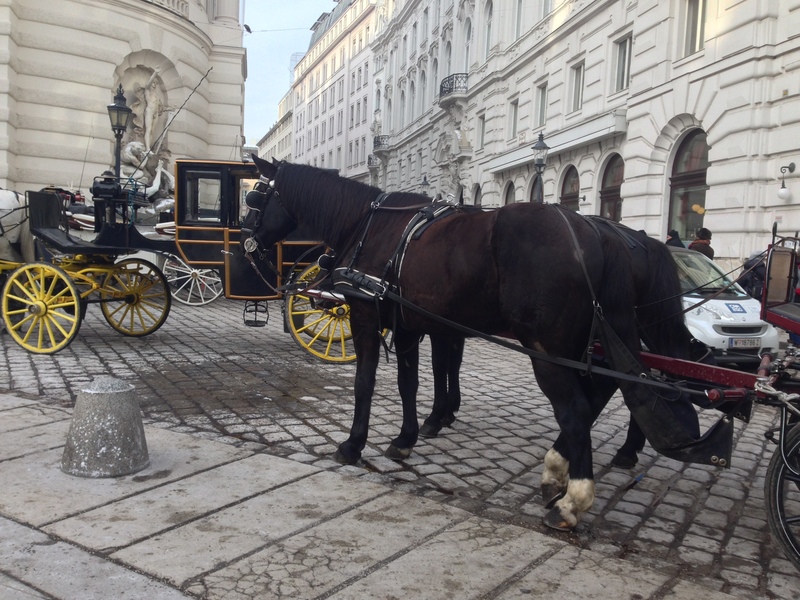 We decided to try and save some money by using the park and ride system in Vienna. As our hotel was in the centre of the city and didn’t have parking, we were going to be hit with a large parking bill. We ended up parking in the Huetteldorf park and ride which was on the U4 line – the line that conveniently had a stop right outside of our hotel. I had booked train tickets online for us which cost €16 for a week of unlimited travel each and the parking in the building was €3 a day. 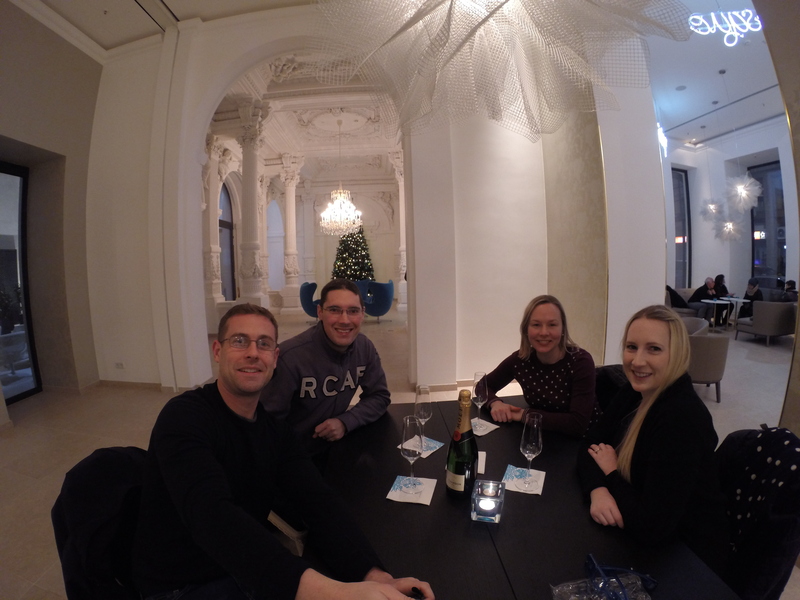 The hotel we stayed at was a brand new Motel One called Wien Staatsoper. Hotels around New Years are always expensive in every city, this is the best we could find in our budget and ended up being around €140 a night. It was worth it to be in the middle of the city, walking distance from the festivities and as it would turn out, the comfort was worth every penny. That night we wandered around the area near our hotel. The New Years huts were getting all set up and the city looked beautiful with all of the Christmas lights still up. We found an Italian restaurant to have dinner at and it was a lovely meal. I had a delicious tortellini meal and Nick had schnitzel. 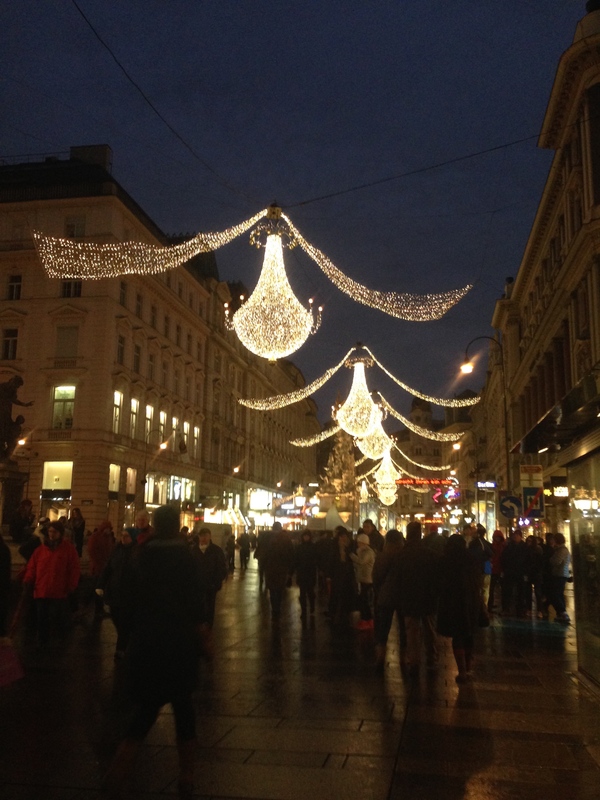 I should mention that it is in Vienna that I experienced the coldest temperatures of my life. Some people may be surprised, but up until now the coldest I had been around was -5 degrees Celsius, one cold New Zealand morning. It is in Vienna that I experienced down to -8 degrees Celsius – so still not as cold as many people have been around, but it was COLD! We had all of the cold weather clothes that we own, but it still wasn’t enough. I ended up having to buy an extra base layer – to put underneath of the 3 layers I was already wearing! New Years Eve! Oh how I love New Years celebrations. Everyone is just so happy and joyful, it’s hard not to get pumped with each others’ energy. We did some sightseeing in the morning, after getting some food at the huts and warming up our bellies with some gluhwein. Vienna is incredibly beautiful. The buildings are grand, well kept and just generally beautiful. What made things even more magical was the fact the snow was still on the ground. It looked like a winter wonderland paradise – and no, the cold definitely did not take anything away from that. 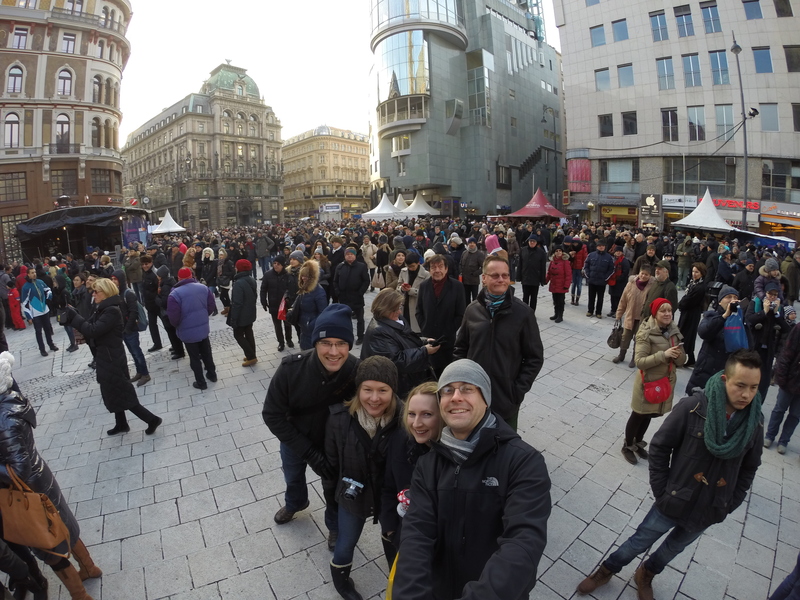 After wandering around for most of the morning, visiting some great Christmas markets and snacking on local food all day, we ended up meeting up with our Canadian friends, Erin and Gavin. I was so happy that we would be spending New Years Eve with friends! We set off to do some sightseeing together but the weather was just a bit too chilly to enjoy it, so we did what all English speaking people do in a foreign city – we went to the nearest Irish pub to pass some time by and have some alcohol to keep warm. Erin had organised dinner reservations for us at a wonderful restaurant. It was a neighbourhood just out of the centre ring of the city and seemed to have a mostly Viennese cliental. It was set up beautifully for New Years and their staff were great. Our waiter seemed like a true local – he looked like a butler off an old school movie with an upturned mystical moustache included. I got pike perch fish on a bed of lentis, Nick got mini burgers, Erin also got mini burgers and Gavin got a guinea fowl (I didn’t even know what that was). The food was all fantastic, but the real pièce de résistance was the chocolate ball. All the menu said was ‘chocolate ball’. I didn’t even realize that it was going to be what my old flatmate had posted on my facebook wall a few weeks earlier! Out came a chocolate ball that looked to be hollow, with some yummy fruit to the side. Then out came our waiter with little cups of something (I think it was warm cream). He then poured it over and as he did, the chocolate melted. Oh my gosh, it was good! Nick and I still talked about it a couple of weeks later. Not only that, but while we were eating our magical food, it started snowing outside. This was a night my 12 year old self could only have dreamed of! Eventually we were kicked out as they had another round of guests for the night. On the way back to the hotel we ended up passing where they were giving our free waltz lessons to the masses. We all started joining in on the lessons. Erin got accosted by a local who was trying to teach her how to do the waltz properly. In true Germanic fashion, he was quite cutting with his teachings! “No no no no NO!” could be heard by everyone watching. It was quite comical! He would disappear and then come running back when she tried to use her new skills with Gavin. As it turned out, he was a local dance instructor. After that excitement, we headed back to our hotel and brought out the Moet that Nick had got for us to celebrate the New Year. Our hotel manager was so lovely and actually got us champagne classes from the bar so we could enjoy it without using our gluhwein mugs and even let us sit in the beautiful lobby to enjoy our champagne. We woke up on New Years Day a little worse for wear. We didn’t get out of bed until around 1pm and then headed out for some food – which of course was some greasy potatoes from one of the stands left over. We then headed to the Hapsburg Palace to do a tour through it. It really was actually a big disappointment. We should have realized when we arrived and they said ‘sorry we have no audio tours left’ that it was going to be busy. We were all packed in like sardines – just like the year before in the Checkpoint Charlie museum! We got in and out of there as fast as we could. Then the big mistake happened. 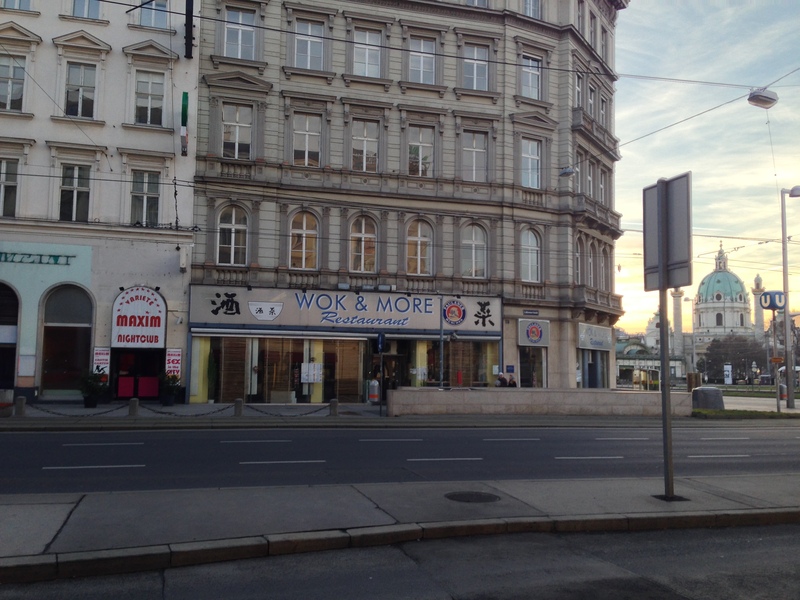 We were trying to figure out what to have for dinner and decided on the Chinese buffet near out hotel – ‘Wok & More’. I wish we had decided on something else. Long story short, but I got food poisoning. The kind of food poisoning that makes you feel like you might die, and stops you from eating for several days. The reason why this is particularly significant is because we had planned all of our activities for the 2nd of January (lesson learned). At 5am that morning, I was struck with the first wave of illness. It meant that there was no way we would be able to visit the Schoenbrenn Palace, nor would we be able to go to the Spanish stallions show in the Hapsburg Palace. I had booked those (expensive) tickets months earlier and was so excited to be able to go. It was the one big thing I had wanted to do in Vienna, and I couldn’t. I’ve never been so disappointed in all of our travels. I wanted to go bomb the Chinese place with a bag of my illness! (Ok I know that is a step too far, but I really was angry!) The moral of this story is never go and eat at a buffet when you are travelling. Especially when you immediately get a bad feeling about it when you notice the raw chicken is right next to all of the other meats – and when the raw salmon on your sushi is warm. I will also not listen to Nick when he says ‘stop worrying about it, it’s fine’ when he has a cast iron stomach. (Sorry Nick, had to throw you under the bus).